The most luxurious planned waterfront community in Palm Beach County is set to break ground in 2014 off of Palmwood Road just north of Donald Ross Road. 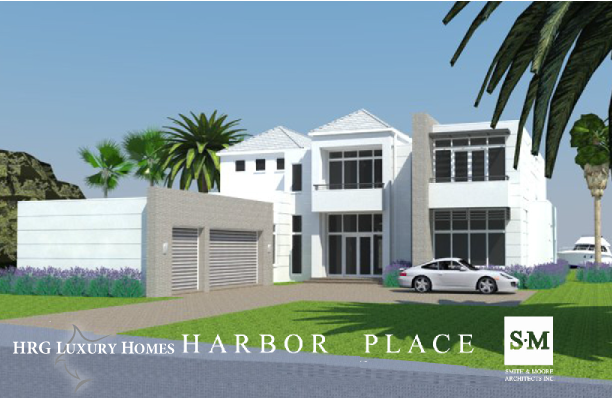 Harbor Place, a Couture Homes Community, will grace the Intracoastal Waterway in Palm Beach Gardens with its contemporary estates. Seven home sites are available in the exclusive gated waterfront community with home sizes beginning at 6,000+ square feet under air, uniquely designed by Smith and Moore Architects, Inc. Harbor Place will display the latest innovations in architecture with contemporary design that elevates West Indies influence. 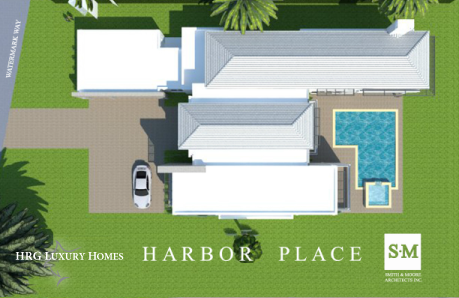 Each home site in Harbor Place maximizes Intracoastal views and includes a private dock, landscaping, swimming pool, Lutron lighting controls and more. Contact the HRG Professionals for further information and availability.